Getting older and having kids has made me want to take of my health and well being more than ever. 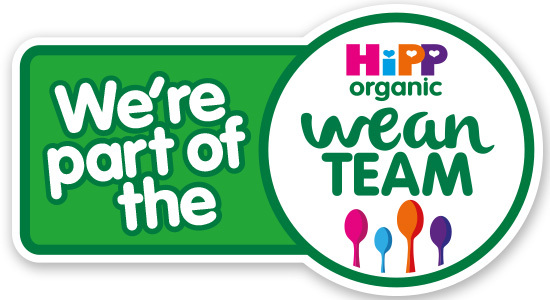 I aim to be healthy inside and out, as well as look and feel good and healthy. 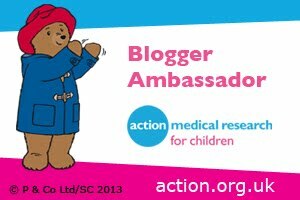 Being a sufferer of PCOS with poor skin condition being one of my significant symptoms my desire to be healthy also extends to having healthy skin. Part of my daily skin routine to keep my skin healthy and looking its best is cleansing. At the moment my facial cleansing routine is traditional with me applying facial cleanser to my face and then gently massaging the cleanser into my face with my fingers in a circular motion. 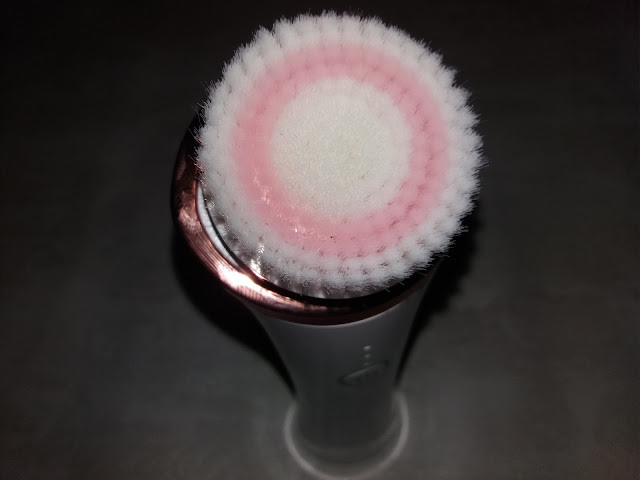 As I am always keen to improve my skin care routine I have been testing a cleansing brush. 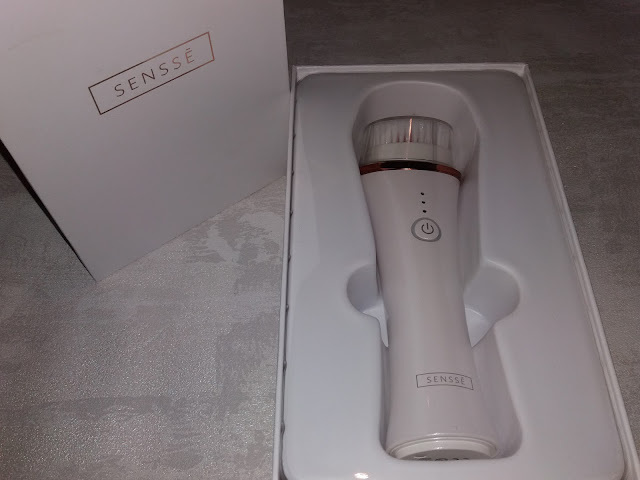 The SENSSE Anti-Ageing Facial Cleansing Brush and Exfoliator is described as a gentle skin care brush that helps reduce wrinkles and fine lines for youthful, firm and smooth skin. 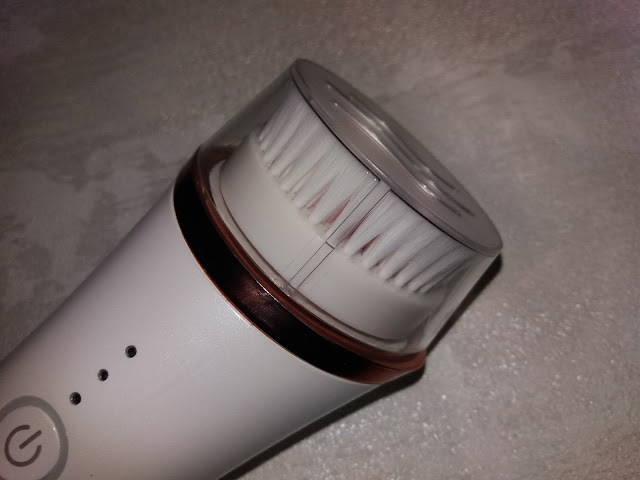 The cleansing brush arrived in a subtle yet stylish box that exuded luxury. The brush itself is a sleek design, with the body of the device being a chic white that is glossy and silky to touch as well as look at. 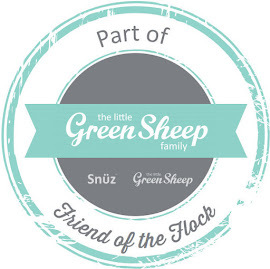 The brush is lightweight and easy to hold thanks to the design and silky sheen of the device. Even the rose gold effect charging base gives the brush a luxurious and elegant look. The brush sits flush within the charging base providing a flawless look. With or without the charging base the brush’s stylish design means that it would look great on a make-up table or in the bathroom. 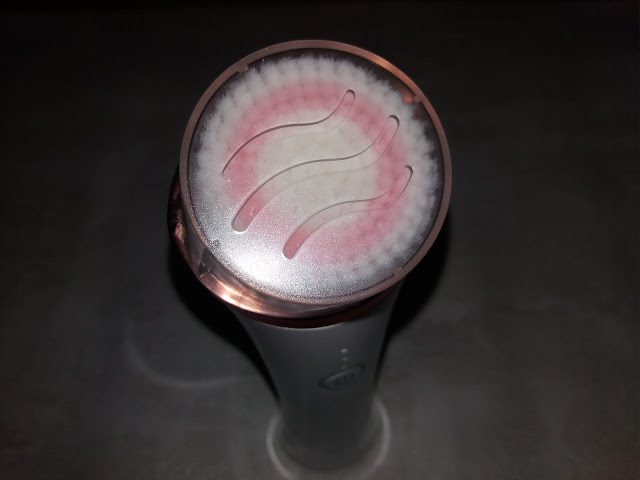 The cleansing device’s brush bristles are silky soft. They feel so soft that they are very gentle and kind to skin. The bristles not only are super soft but also look high quality too which gives the brush an air of luxury and quality. To get the brush ready to use you charge it by placing the brush on the charging base which has a USB cable attached to plug into a computer, laptop or USB plug into mains switch. The first charge took about an hour. When charging you know it is fully charged when all 3 lights on the device are a steady white. I think it is great that you get around 60 uses from a full charge which is great for making the device portable and saves having to charge after every use. 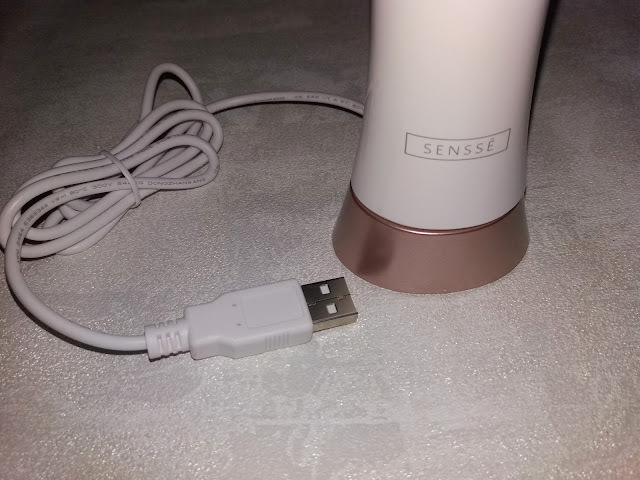 I have been using the SENSSE Anti-Ageing Facial Cleansing Brush and Exfoliator for awhile now and my skin is reaping the benefits of the brush. My skin looks and feels clear, clean and radiant. As my skin was already nearly completely free from wrinkles - only laughter lines at my eyes when happiness is showing on my face (not bragging but huge thanks to my mum’s good genes) I cannot say I have noticed the brush making wrinkles finer and less noticeable. However I think by implementing the use of the brush into my facial skin care routine now pre-wrinkles I can keep wrinkles at bay for longer and help my skin look healthier and younger for longer! I love that the brush has 3 intensity levels - press the power button to adjust the desired intensity level - so that it is suitable for all skin types and areas. Being able to use the low level which is ideal for sensitive skin or higher intensity levels for deep exfoliation and anti-wrinkle treatment means you can cater your cleansing routine to suit you, your skin type and personal skin care routine. A low intensity level should be used to clean the delicate area under the eye and outward strokes should be used. As my skin is borderline sensitive - with the sensitivity of it varying depending on the time of the month and how active and intense my dermatographia aka Skin Writing currently is (aren’t I a lucky girl PCOS and skin writing making my skin feel extra special) the feature of being able to adjust the intensity of the brush is amazing. For sensitive days I can use a low intensity and then on the odd occasion I can adjust my skin cleansing routine and use a higher intensity for anti-aging and wrinkle banishing benefits. I love how portable and easy to use the brush is. Thanks to a built-in battery and no power cables I can use it anywhere and everywhere whilst I squeeze my skin care routine into my busy day. The brush being water resistant is also handy as I can use it whilst having a quick shower or bath which is a bonus as it is commonly when I have a moment or two free to tend to my skin care routine. I love this device and it has taken my cleansing routine to the next level for added effectiveness to help my skin be its best. 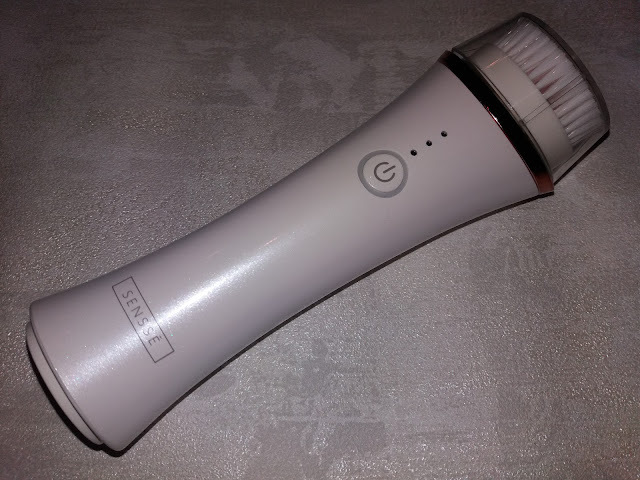 The SENSSE Anti-Ageing Facial Cleansing Brush and Exfoliator is a gentle but powerful cleansing brush that is the perfect partner to cleansing creams to help make skin look and feel good. 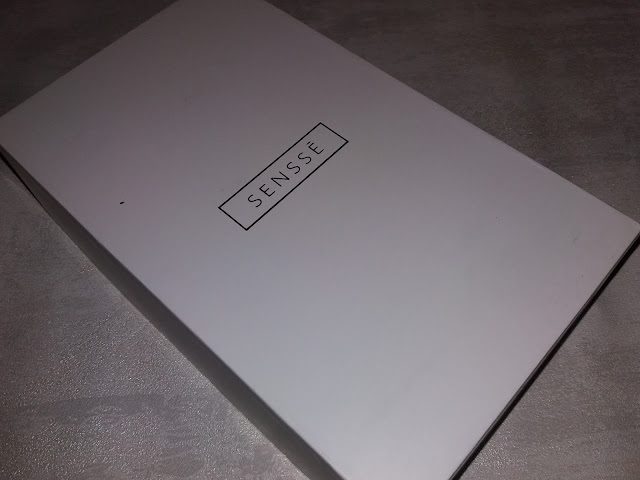 The SENSSE Anti-Ageing Facial Cleansing Brush and Exfoliator can be purchased here from Amazon. 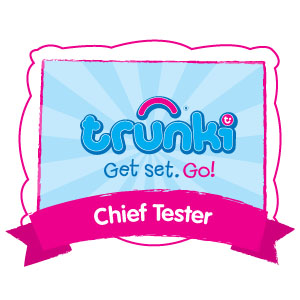 Please note the winner will be contacted by the PR team directly who are responsible for running the giveaway. The prize is 1 SENSSE Anti-Ageing Facial Cleansing Brush and Exfoliator (RRP £100.00). Giveaway starts 21st June 2017 and ends 20th July 2017. I love these brushes! I've never owned one but have read many great reviews on them and can see how they'd be great as part of a skincare routine. This looks amazing. I've always wondered if they actually work. My skin is awful at the moment. Sounds like a great little gadget to have when doing a little home facial. I've never used one of these brushes before. I was interested to read that you can change the intensity because I have sensitive skin too and always worry about trying new things. I have not used one before , have been looking for alternative skin cleansing items as have bad skin recently which I think is due to the onset of the menopause . I would love to try this. I can imagine the skin feeling and looking fabulous after using it.